First 4 Figures and Sonic the Hedgehog collide once more! 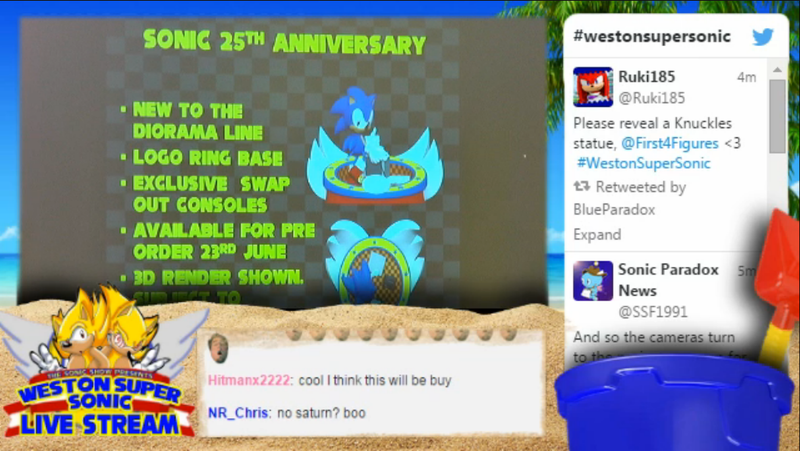 Two new statues were revealed by the manufacturer at the Weston Super Sonic convention: statues for Sonic’s 25th anniversary and for Silver the hedgehog! The two images below, screenshots from the WSS live feed that broadcast the reveal, showed off the statue and bonus details. 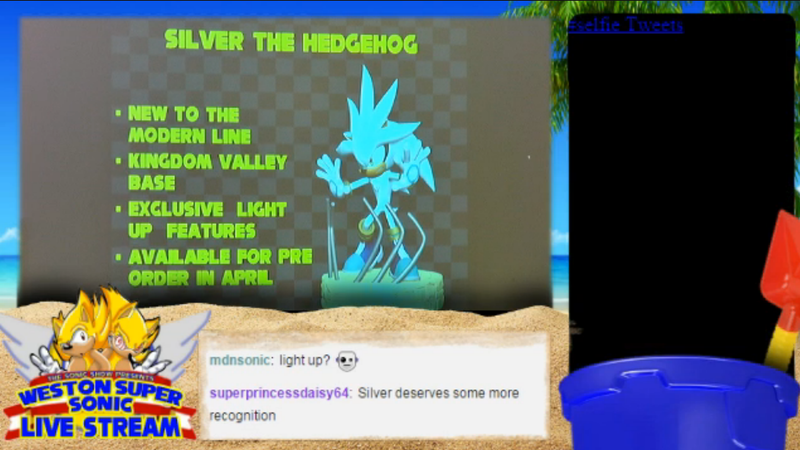 The 25th Sonic statue will be available for pre-order on June 23rd and Silver will be available for pre-order in April.